​This Guide is no longer being maintained or updated, and will be unavailable after 01/01/2019. Please contact the Student Learning Librarians at LearnTeach.Librarians@utas.edu.au if you have any concerns about this change. Questions about your undergraduate studies or teaching? Questions related to your postgraduate or academic research? Oxford Art Online is the access point for Grove Art Online, the Benezit Dictionary of Artists, and other Oxford art reference resources. Multi-disciplinary archive of scholarly material in the social sciences, humanities and the sciences. It includes the full text archival backfile of over 1,000 journals, monographs, newspapers and selected conference proceedings. Collection of digital images. Tasmanian College of the Arts, Hobart has a weekly Friday forum where artists talk about their practice. View most of these talks for 2015 online. For previous years' talks please see the links below. Tasmanian College of the Arts, Hobart has a weekly Friday forum where artists talk about their practice. View most of these talks for 2014 online. For previous years' talks please see the links below. Tasmanian School of Art, Hobart, has a weekly Friday forum where artists talk about their practice. View some of these talks from 2013 online. For Art Forums up to 2012, please search the Art Forum collection below. 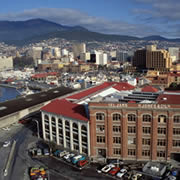 Tasmanian School of Art, Hobart has a weekly Friday forum where artists talk about their practice. This collection is for forums pre-2013. For 2013 forms, please search in Art Forum 2013 above.